Serious whiskey drinkers insist that it tastes better on the rocks — that is, diluted with a little water — and, with the help of computer simulations, scientists now know why. The distinctive taste of whiskey is largely caused by a molecule called guaiacol, which has one section that likes water and one section that doesn’t like water. 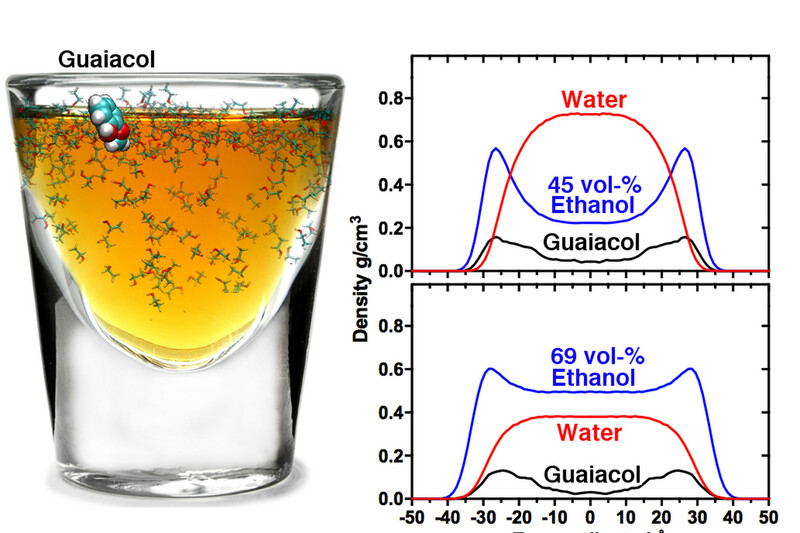 In a study published today in the journal Scientific Reports, researchers simulated what happens to guaiacol when there are different concentrations of water, and which combination makes the molecule most potent.